(1) In this paper, we investigate fluctuation properties of communication configurations by considering an ensemble of measurements in the space of probabilities. In the limit of a large number of symbols, in a message communicated in a noisy channel, we explore statistical properties of fluctuations by analyzing the critical behavior and geometric invariants at a given pair of true and false probabilities as the model parameters. (2) In the light of the system’s global stability, we examine the long-range statistical correlations, whereby discuss the nature of the underlying interacting/noninteracting domains and associated phase transitions under variations of the model probabilities. 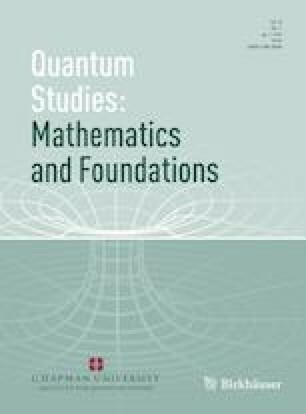 (3) Finally, we provide possible directions towards the instrumentation technology and engineering designing, their optimal developments and perspective implications of the intrinsic geometric towards the fluctuation theory understanding of joint configurations, entanglement entropy, generalized measurements, quantum channels in communication systems and simultaneous measurements. Bhupendra Nath Tiwari would like to thank the Yukawa Institute for Theoretical Physics at Kyoto University. Discussions during the workshop YITP-T-18-04 “New Frontiers in String Theory 2018” were useful to complete this work. We would like to extend our sincere thanks to anonymous referees whose comments were useful in revising the manuscript. There exists no conflict of interest for all participating authors. On behalf of all authors, the corresponding author states that there is no conflict of interest.